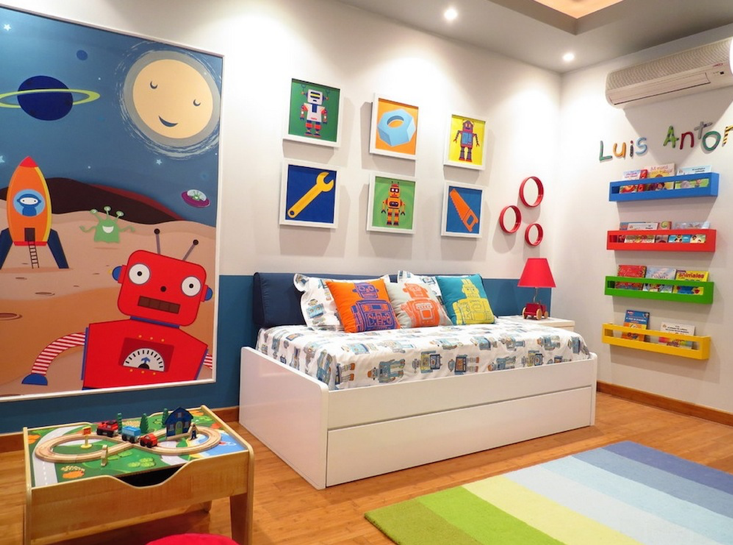 Home » Kids Room Interior Design Ideas that Rocks! Kids Room Interior Design Ideas that Rocks! Ready for some excellent kids room interior design ideas? Go on. Most children spend a lot of time in their bedroom – their little private sanctuary. Used for sleeping, playing and working, it follows that their space should be a reflection of their little personalities. Stylish, practical, fun, cozy and comfortable – our selection of children’s bedroom interior design ideas will keep the kids happy. 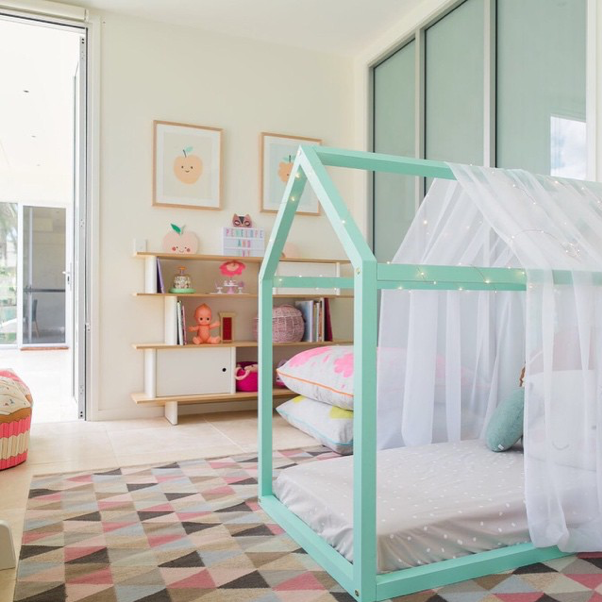 When it comes to children’s interior decor, airy rooms with playful details add warmth. There should be space to let them play unrestricted, with stylish storage boxes to tidy away any clutter afterwards. It should be a room that can easily grow with them for years to come. Children’s bedrooms should be fun, bold and playful. Children love to have their own special space that allows them to escape into their own magical world. The color palette is soft yet merry, while creating a relaxed space to kickback in. 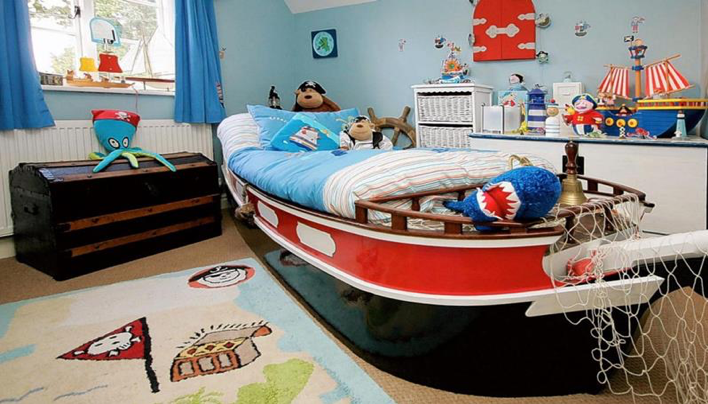 Dock your little captain in this cool-breeze nautical room, where he or she can sail away anytime into dreamland. This bedroom design looks cool and very consistent with the pirate theme. Your child’s growing years is the stage where he develops his imagination and it is but ideal to provide for him an environment which will encourage him to explore and widen his imagination and a place where he can simply enjoy. Our tips for styling a sibling shared room is to keep it simple, use color schemes that complement each other. Keep it functional and provide double the storage to store the clutter after a messy playdate. A study table is a must! Choosing a white desk option will suit any bedroom scheme, is low cost and easy to maintain. A dash of vintage, a sprinkle of whimsy and a drop of contemporary all seamlessly intertwined into this gorgeous kid’s room. A clever combination of cushions adds an abundance of character and comfort to any room. 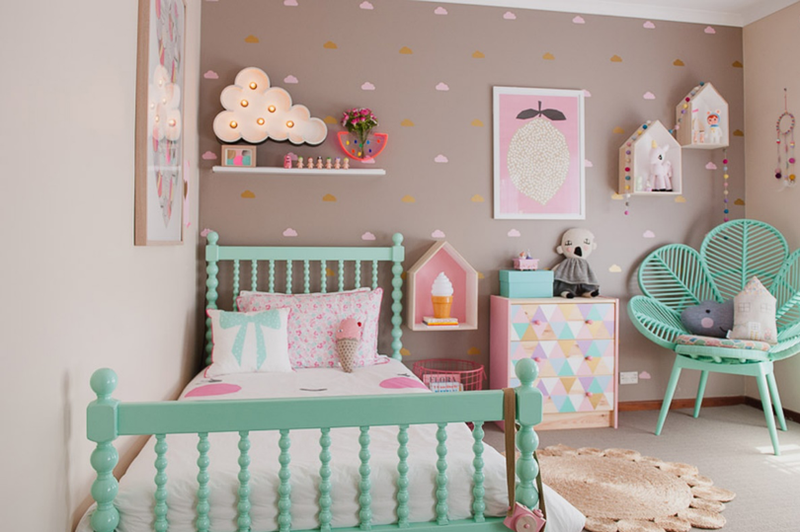 Give your kids’s bedroom the wow factor with small detailing on the walls. Unexpected elements like the oversized chair and the cloud light create interest. Colorful, creative and invigorating, this room oozes energy. Spaceships, robots, planets, and tools- the personality of the boy shows through every detail. Lots of display shelves provide an avenue for the little ones to show off their latest creations. Plenty of floor space allows for freedom to move & play. It’s about making ideas happen – so easily, so cost effectively!